International flooring and interiors specialist Gerflor are proud to be the headline sponsor supporting the Royal Institute of Architects Ireland (RIAI) awards programme 2017. The RIAI seeks to provide architects with the professional training, education and research support required to consolidate the role of the RIAI. Now in their 28th year, the RIAI Irish Architecture Awards are the premier architectural awards in Ireland. The purpose of the RIAI Irish Architecture Awards is to promote and celebrate the quality of current work by RIAI Members at home and abroad and to create awareness of the contribution that architects make to society for everyone’s benefit. The RIAI Awards are considered by both the public and the profession as the most valued architecture awards in Ireland, resulting in strong promotion of the value of good architecture. The annual awards are there to promote the best of the best and the categories include everything from; Commercial/Retail projects through to Education, Health, Leisure, Housing, Public Buildings and Sustainability. The annual awards are therefore very prestigious and the competition for shortlisting is extremely fierce. 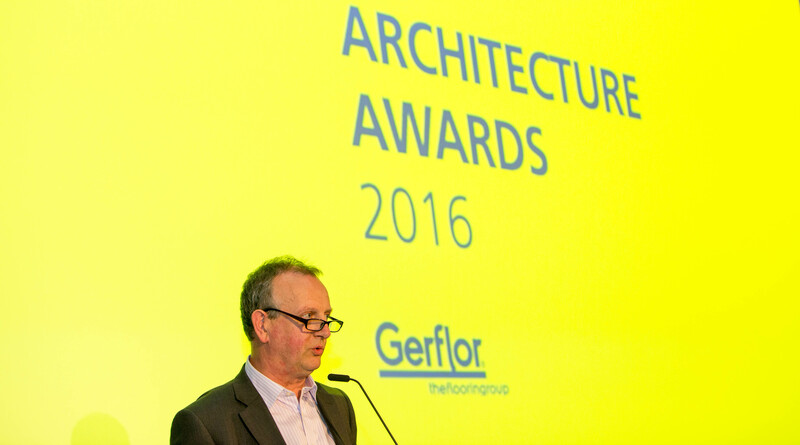 Sponsoring these awards again, is for Gerflor, synonymous with their commitment to quality and innovation and engagement with the architectural community. The programme which started in February of this year called for all entries to be made, this was then followed with the RIAI assessment panel sitting in April/May to create a shortlist. A Public Choice vote campaign started at the end of May with the final awards to be announced on the 23rd June. The Irish public can vote for their favourite building, with voting open until Friday 16th June 2017. The RIAI Irish Architecture Awards 2017 sponsored by Gerflor will be announced on Friday 23rd June at the prestigious Mansion House in Dublin, followed by the RIAI Annual Awards Summer Party.